Track systems, although an anecdotally established concept, are still relatively scarce in the livery world. This may be due to fears of how horses may integrate, the cost and development required to create a track system or the practicality of a track system for many owners. However, recently there have been some great results from track systems, suggesting just how beneficial they are for equine health and preventative health, something we at Trackener, are incredibly passionate about! Take a read of the top five! Track systems, which usually consist of tracks around the edge of fenced paddocks with resources (water, food and shelter) spaced out at different points of the track, encourage the horse to forage and seek resources continually, forcing them to move and stay active. In the wild, horses typically spend 16-18 hours foraging a day . This wildly contrasts the majority of domestic housing practices where horses are turned out for just a few hours depending on grazing availability, weather and season. Unsurprisingly this means that rather than covering 16km a day in the wild , domestic horses have been recorded to be travelling as little as 1.1km a day . This reduction in movement can have many consequences on the healthiest of horses from weight gain to stiffer and more swollen joints. As we know in humans, movement is essential for good health for both the cardiovascular and musculoskeletal systems to keep the body healthy. We can't wait to welcome users on board using the Track System so we can compare the movement of their horses to those with traditional turnout practices. You can read some of our previous research on horses movement at pasture using Trackener kits here. The majority of equine grazing land today has evolved as a result of human activity whereby woodland was cleared and agriculturally developed for meat and milk production. While these pastures have proved beneficial for livestock, they are not well suited to horses and have resulted in high levels of water soluble carbohydrates (WSC) and low levels of fibre . These WSC or high fructan (sugar) grasses widely contrast the naturally poor quality forage horses consume in the wild and too much of them have led to weight gain and the development of laminitis . The horse’s natural diet generally consists of high fibre, poor quality forage and many herbs, twigs and other roughage. This is what the horse’s gastro-intestinal tract (GIT) has evolved to digest and process. The addition of new forges such as grain and hard feed have seen a rise in health problems such as colic due to heating and rapid fermentation in the GIT . 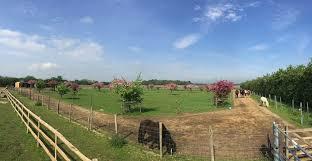 Due to the nature of a track system combining the outskirts of a field, hedges and bushes can often be incorporated into grazing sources along with less grass due to trampling and tracks made by the horse’s feet. As there is less availability of grasses and forage within most tracks, hay is sometimes supplemented to balance the horse’s diet. 4. Reduced risk of health problems such as laminitis and navicular. As a result of more movement and the natural wear and tear of movement on the horse’s hooves, coupled with a more diverse and lower sugar diet, former farrier Jaime Jackson who studied feral horses, reported that it was very rare for there to be cases of laminitis and navicular in wild horses . Laminitis was one of the top 5 disease syndromes recorded in the 2016 National Equine Health Survey and affects approximately 7% of the equine population . More recent studies show that of diagnosed cases however, only 54% of owners were able to recognise the condition and therefore leads us to believe there may be a much higher prevalence in domestic horses . 5. Better equine welfare due to the occurrence of behaviours exhibited free-living horses. 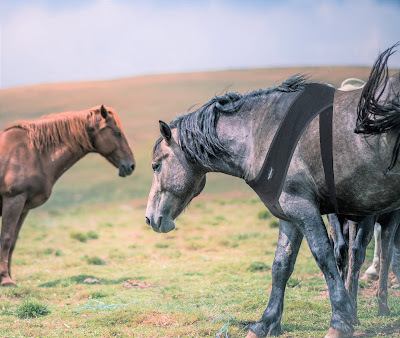 A recent study by Hartpury University found that track systems resulted in more collective behaviour and close proximity grazing, natural behaviours exhibited in the wild herd believed to facilitate positive experiences for the horse. As welfare of domestic horses receives constant scrutiny and management practices try and accommodate more natural living practices, could Track systems be the answer? Nevertheless, although there are many reasons to suggest that track systems are beneficial and relatively easy to implement, Track systems can require a great investment of time and money to create and horses may not adapt well, particularly if there are stronger/weaker members of the group that have been individually housed previously. What’s your experience of track systems? Did you find them beneficial for you horse? We would love to hear! Drop us a comment below. Trackener is the best way to keep an eye on your horse's activity to detect and prevent health issues as early as possible. Discover it here. Hampson, B. A., de Laat, M. A., Mills, P. C., & Pollitt, C. C. (2010). Distances travelled by feral horses in ‘outback’Australia. Equine Veterinary Journal, 42, 582-586. Hampson, B., Morton, J., Mills, P., Trotter, M., Lamb, D. and Pollitt, C. (2010) Monitoring distances travelled by horses using GPS tracking collars. Aust. vet. J. 88(5): 176‐181.